John Sargent didn’t get the perfect result with Luvaluva at Te Aroha on Saturday, but the fleeting trip to New Zealand did increase her value. The Randwick-based former Kiwi trainer believed the Gr.1 New Zealand Thoroughbred Breeders’ Stakes (1600m) would give Luvaluva a fine opportunity to land a Group One win and, in the hands of Leith Innes, the daughter of Mastercraftsman ran a highly creditable third to Nicoletta, beaten under a length. ‘’She ran a good race and is obviously looking for more ground,’’ Sargent said. ‘’We knew it was a gamble over the mile as she’s more of a 2000m horse, but we had to have a go. ‘’The Group One placing has added to her value as a broodmare and she showed with the right run she could be hard to beat in her next couple of runs. Luvaluva’s next two starts will be in Queensland in the Gr.2 Hollindale Stakes (1800m) at the Gold Coast on May 4 and the Gr.1 Doomben Cup (2000m) at Doomben a fortnight later. 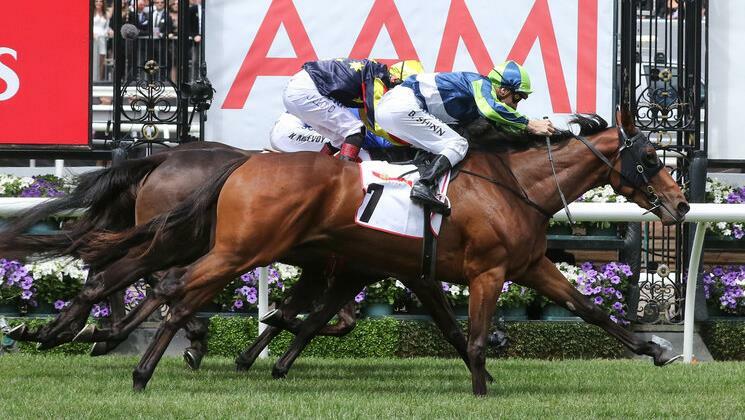 Luvaluva won the Gr.2 Wakeful Stakes (2000m) at Flemington before finishing fourth in the Gr.1 VRC Oaks (2500m) and has also won last year’s Gr.3 Kembla Grange Classic (1800m) and Gr.3 Adrian Knox Stakes (2000m). 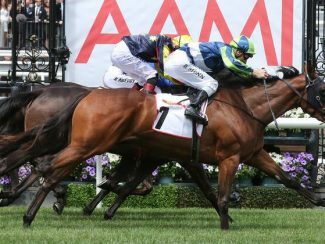 ‘’I sent Campbell Ashby, my foreman, over to look after her and he said she has come through Saturday’s race well,’’ Sargent said.